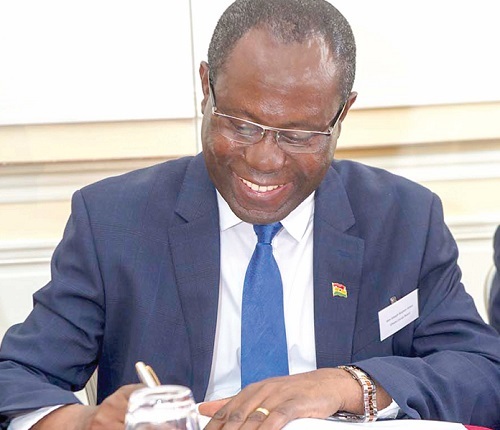 Ghana Cocoa Board (COCOBOD) signed a $300 million three-year loan with several international lenders yesterday to refinance central bank-raised cocoa bills and finance production enhancement programmes. Last September, COCOBOD announced that it was in talks with international lenders for such a loan. That month, COCOBOD signed a $1.3 billion loan with international banks to finance bean purchases. The $300 million receivables-backed trade finance facility was underwritten by Natixis, Cooperative Rabobank UA, Credit Agricole Corporate and Investment Bank, Societe Generale, and MUFG Bank, Natixis said in a statement yesterday. COCOBOD recorded a shortfall of GH₵2 billion in the previous harvest and needs GH₵1.1 billion ($223 million) to meet its commitments for the annual season through September. The facility will pay an initial margin of 295bps per annum over USD LIBOR and will include a margin incentive mechanism subject to the achievement of the above-mentioned environmental and socials objectives. Ghana’s desire of increasing cocoa production has suffered a major setback as it has been revealed that 40% of all cocoa trees in Ghana are not productive. Out of the 40% 17% have been affected swollen shoot disease while 23% are over 30 years and had become unproductive. Ghana, the second largest producing country in the world targets to raise production to 1 million tonnes by 2020. The above challenges coupled with galamsey destroying additional cocoa farms and falling prices threatens the 1 million tonnes target. COCOBOD Chief Executive Joseph Boahen Aidoo said the loan would go a long way to help in carrying out its sustainability programmes in all cocoa regions to enhance the social and environmental sustainability of cocoa farming and also improve the livelihood of farmers.